A number of keys aspects came out from yesterday’s win over Motherwell, yesterday’s comfortable win we hasten to add. But one of the most intriguing going in was the potential performance of (former) summer signing target Jake Hastie. The 20-year old winger was subject to Rangers interest for the past two or three weeks, but Steven Gerrard reportedly got tired of stalled negotiations and Rangers pulled out. Whether that unsettled Hastie and played on his mind we couldn’t possibly say, but if this audition for a Rangers role was anything to go by, we dodged an absolute bullet. 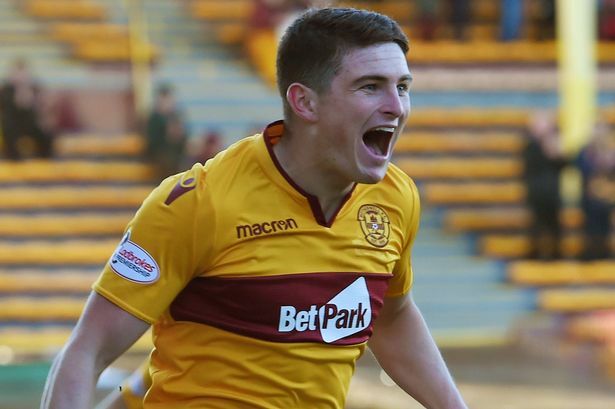 Sure, his stats really are something – he’s arguably been Motherwell’s best player this season, and he only returned to Fir Park in January following loans out. But when it came to watching him in the flesh, he came up short. Poor decision making, weak dribbling, a lanky and awkward glide about him, Hastie reminded us of a young Kyle Lafferty without the ability or physical strength. His movement wasn’t great, and the few times he got the better of Jon Flanagan down the right he either chose the wrong option or let his team mate down with a bad pass. When Rangers play against signing targets, their performances are huge – can they handle the pressure of playing amidst a Rangers atmosphere, be it at Ibrox or their own patch? Think of how poorly Jamie Walker did at Ibrox last season when the speculation was at fever pitch. Think by contrast of how well Jordan Jones has done. It takes a strong will and a powerful mental strength to cope with the weight and expectation of being a Ranger, and if yesterday’s display against us was anything to go by, Hastie is no better than anything we already have. Indeed, someone else in Motherwell’s colours stood out far more and we’ll have an entry on him later today. But going by this showing, there are better players for Rangers to build around than Jake Hastie. We’d already take one of our own in Glenn Middeton every day of the week. Totally agree 100% BlueBear. If we have any ambition at all to win this league and prevent the beggars winning even 9IAR, then we must raise the bar in caliber of player. Hastie is at best, mediocre. It's time to dump the dead wood and bring in players who will fight in every game for the jersey and rip that title from the beggars flea bitten hands!! Very harsh , I thought the boy showed some good stuff in a very poor side , he created their only shot at goal from nothing, he put in a couple of good crosses which his mates didn`t back up and he wasn`t taken off because he was their worst player.You really need to stop making snap judgements after seeing somebody once or twice .Davis is done , McAuley is great, Hastie reminds you of Lafferty, you must be joking .Who knows if we will get him but don`t judge him on one game. The kid is 20...I thought he looked ok. I'm a bit torn on this. The policy of signing the best young players is sound but it can be risky if they don't mature as hoped. However, if we get them when out of contract on fairly low wages then it's maybe worth a punt. Hastie has done really well in the second half of the season but I understand he never really set the heather alight on loan at Alloa. That concerns me. ...Against Us, He was Dreadful!